Membership card entitles you to unlimited free admission for you, your spouse and kids below 18 years old to all exhibitions, invitations to members-only sale held every June and October, invitation to two museum exhibit openings, 10 percent cash discount at the Museum Shop, 20 to 50 percent on all programs, lectures, workshops, symposia and other activities, and 10 percent cash discount or 5 percent credit card discount at the M Cafe. 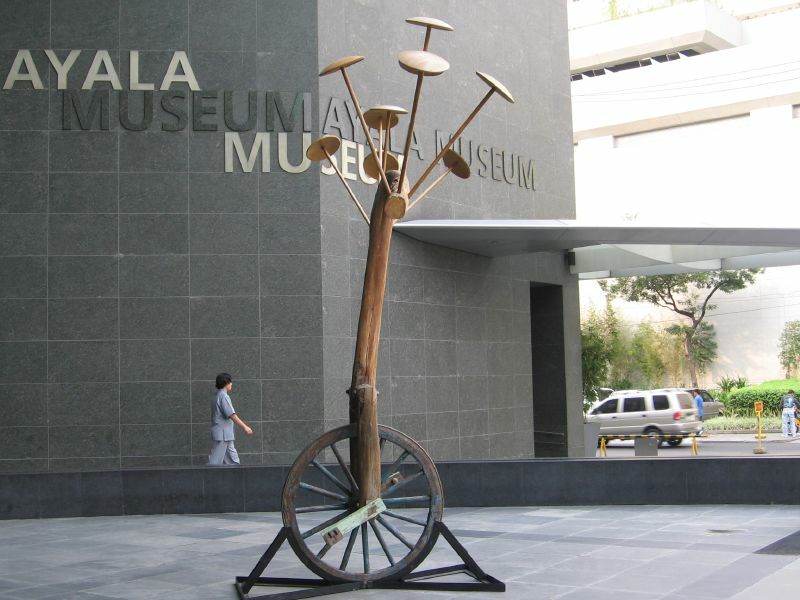 Ayala Museum is the art and history museum located at the corner of Makati Avenue and De la Rosa Street in Makati City, Metro Manila, the Philippines. It is considered one of the most important private institutions of Philippine art and culture. Envisioned in the 1950s by Filipino abstract painter Fernando Zobel, the Ayala Museum was established in 1967 under the auspices of Ayala Foundation, Inc. It began as a museum of Philippine history and iconography, and transformed itself into a museum of fine arts and history as the 20th century drew to a close. It also has the M Café, a gathering spot for souls passionate about art and culture, as well as sophisticated fusion food that features modern interpretations of traditional Asian food. 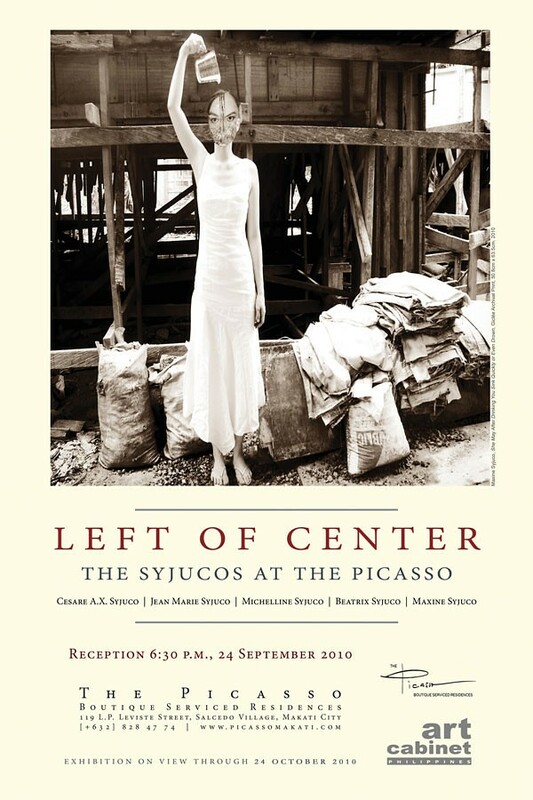 Recent works by Cesare, Jean Marie, Michelline, Beatrix and Maxine Syjuco will be on special preview exhibition at The Picasso Boutique Serviced Residences on Friday, September 24, 2010, at 5:30 PM. These works employ a broad range of experimental media from literary hybrids to site-specific installations, painting, performance and video pieces. The Picasso Boutique Serviced Residences is located at 119 Leviste Street, Salcedo Village, Makati City. Exhibitions at the public spaces are on view 24 hours. The fourth floor gallery is open Monday to Friday from 10 am – 7 pm. Art-in-house at The Picasso is managed by Art Cabinet Philippines. Ramon S. Ang, current head-honcho of San Miguel Corporation, is looking to build a new hotel in Makati as one of his personal investments. Ang is (already) a majority shareholder of Manila Diamond Hotel at Roxas Boulevard which is being managed by his daughter. Ang did not elaborate on the details of the new Makati City hotel investment during a lunch meeting he shared with several journalists. Pre-paid Car Maintenance Plan in the Philippines – First Ever! From Life Plans to Pre-Need Plans and Memorial Plans now comes something for your cherished vehicle – a Car Maintenance Plan. The tagline goes “Take the worry out of maintaining your car today.” JAC Service Center has been serving the automotive industry since 1974 and has branches in Alabang, Makati and Cagayan de Oro.They accept all kinds of brands and models. The “Regular Plan” costs P4,500.00 per year and you get unlimited labor for one whole year at JAC’S well-equipped, well-staffed centers, 5% discount on parts, accessories and other services, free pick-up and delivery within services areas of Las Pinas, Paranaque, Alabang and Muntinlupa, Makati, Pasay and Mandaluyong, free carwash with wax and vacuum service every month, LTO Registration and Insurance assistance, free check-up and estimations; students get a discount of P 500.00 (pay only P 4,000.00 per year). The “VIP Plan” costs P10,000.00 per year and you get unlimited labor for one whole year, 10% discount on parts, accessories and other services, priority queuing – always be the first in line, free pick-up and delivery within Metro Manila, free 24 hour towing service within Metro Manila, free car wash with wax and vacuum service every month, LTO Registration and Insurance assistance, free check-up and estimations. I am organizing the AIM Business Asia Week 2009 on LinkedIn Events and thought you might be interested in attending. Business Asia Week is being organized by the Asian Institute of Management as a forum to present the Philippine economy and the Asia Pacific region as a strong arena for business and talent management opportunities, despite the current global economic slowdown. For more details, go here . Since I was a kid, when someone mentioned “the best spaghetti in town,” none topped my taste palette than Makati Supermarket’s version. I remember when the old location burned down where Glorietta now sits and Makati Supermarket re-opened again, there was a flurry of people rushing to its opening day and beyond simply because they missed the spaghetti. 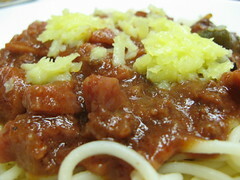 Long before Jollibee and Italian bistros, Makati Supermarket’s spaghetti was the best. Here’s a blog from a Filipino Foodie who’s giving away a recipe that would probably taste as good as the famous dish (don’t hold me liable as I haven’t tried to cook it – yet!). Click to go to PinoyFoodBlog.com. Recipe and cooking instructions from the link can also be found below. 2. In a kawali or wok, sauté garlic and onions in olive oil. 3. Combine ground beef, ground pork, bay leaf, green and red bell pepper and a cup of water in the wok. Allow to simmer for 10 minutes. 5. Add brown sugar, vienna sausage, sweet ham and hotdogs. Simmer for 5 minutes. 6. Add a little more water (maybe 1/2 cup more) till you get your desired consistency. Add salt and pepper to taste. 7. Serve separately with cooked spaghetti noodles and grated cheese on top.